You know what page this is? 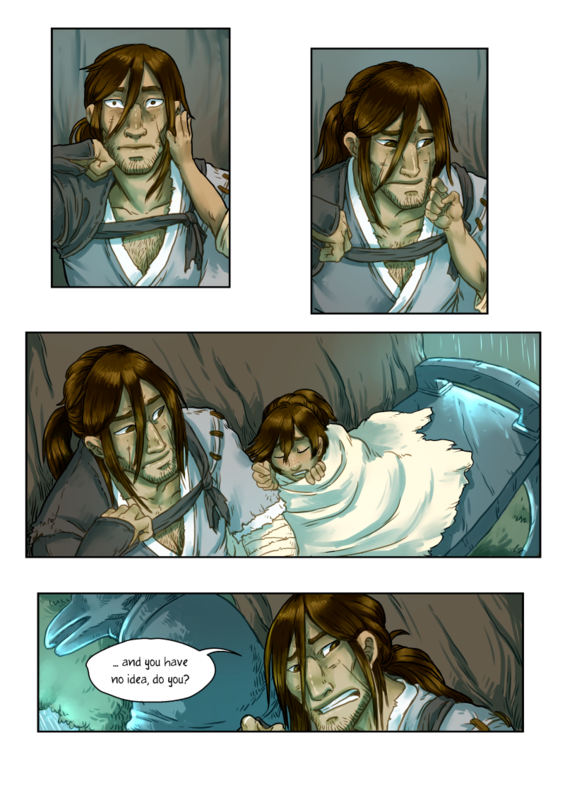 It’s the ONE HUNDRETH PAGE of Grassblades! To celebrate the 100th page – AND to celebrate that I just reached 3000 readers on Tapastic, I’ve made a special celebratory desktop wallpaper for you all! It’s available in 1280×1024 and in 1900×1200! YAY THANK YOU FOR THE WALLPAPER! …Akane is so adorable in this. YOU’RE WELCOME! 😀 Thank you for reading the comic! It’s nice to see those bandits working an honest job, but I can’t help but be afraid that by the end of the day half their customers will have food poisoning and the shack will have burned down.